I get many e-mails from people who want to know if I accept guest posts on my BLOG, and if that is the case, what are the guidelines. I figured that it would be easier to write the guidelines in a post and just refer every one here. So the answer to the first question is: Yes, I do accept guest posts. 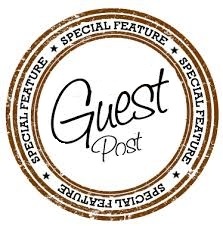 Currently I publish one guest post per week, usually on Sunday or Monday. Below you will find all the details about the process. Anything that is useful for my readers is good content for a guest post here. It can be related to self-publishing, book marketing in general / book reviews, book promotions, social media and etc. /, and it can also be derived from your own personal experiences. There is no minimum length for your post, but usually the guest posts have over 500 words. Your post should be at least 500 words long and no more than 800 words (optimally, aim for 700 words). Please format your guest post as an WORD document, so that I can copy and paste it into my blog. If you have a post that meets the guidelines above, you can send it to me on the email meglena[.]ivanovany[@]gmail[.]com. Please include the post in the body of the email itself, or as a .doc attachment. I check and respond to all guest post submissions twice a month, so it might take up to two weeks before I get back to you. This doesn’t mean I have rejected your post though, and even in case of rejection you should get an answer from me, explaining the reason.